It's almost BC Day, so what better time for a multicultural experience? We recommend you check out these fabulous festivals and events happening this weekend, and then finish off your evening with the fireworks. Happy long weekend everyone. The BEE list is curated by Ajay Masala Puri, Lisa Craveiro, Steve Williams, and Lorien Henson. Glowing stars hang in darkened trees; a hypnotic drum beat leads a procession of dancing figures holding fiery torches; stilt walkers stalk through thousands of costumed revelers, together animating a world of their own creation. 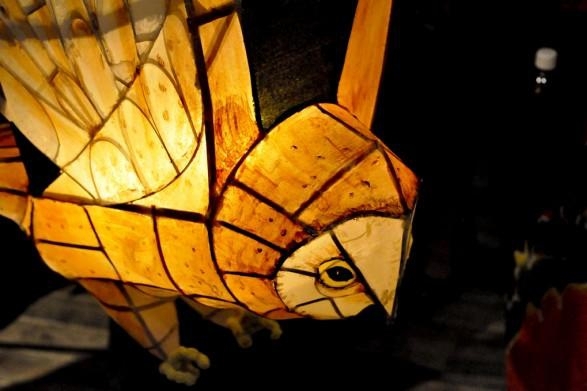 Now in its 22nd year, Illuminaries is a glowing handmade lantern procession. It’s one of the most well-attended festivals in Vancouver, now at a new location along the Coal Harbour seawall and outside Canada Place. Check out this laneway between 8th Ave and Broadway (west of Main) that has been converted into a local art market with live music, hula-hoop demonstrations, hot food, temporary installations and a BBQ cookoff put on by neighbourhood restaurants. $3 donations go to the Vancouver Food Bank. The Powell Street Festival is an annual celebration of Japanese Canadian arts, culture and heritage that features something for everyone: dance, music, film and video, visual arts, martial arts demos, amateur sumo tournament, craft vendors, traditional displays, and of course, tons of scrumptious Japanese food. You can beat the Taiko drums, try your hand at Sumo wrestling, or try on an authentic kimono.